I am a big fan of Melissa Hartwig and her Whole30 program. First there is the general concept that how and why we eat are just as important as what we eat. Then there are her recipes. Some people feel it can get boring eating real foods, no added sugars or grains or processed food. Melissa's recipes show us that it is anything but boring. 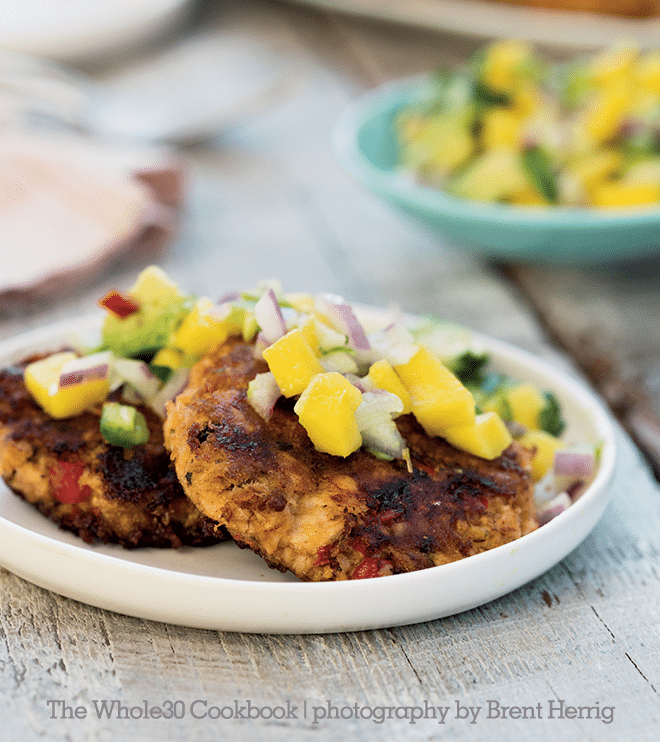 Try these Mexican Salmon Cakes with Mango Relish and you will drop the word boring from your vocabulary. I'm a spice wimp so I did it without the cayenne pepper and jalopenos, and I served it with sauted spinach and some leftover broccoli/carrots/cauliflower I had in the fridge. Deliscious! Previous Previous post: What Does Your Utopia Look Like? Next Next post: Why I Ate My Wife’s Chocolate Chips. All of Them.